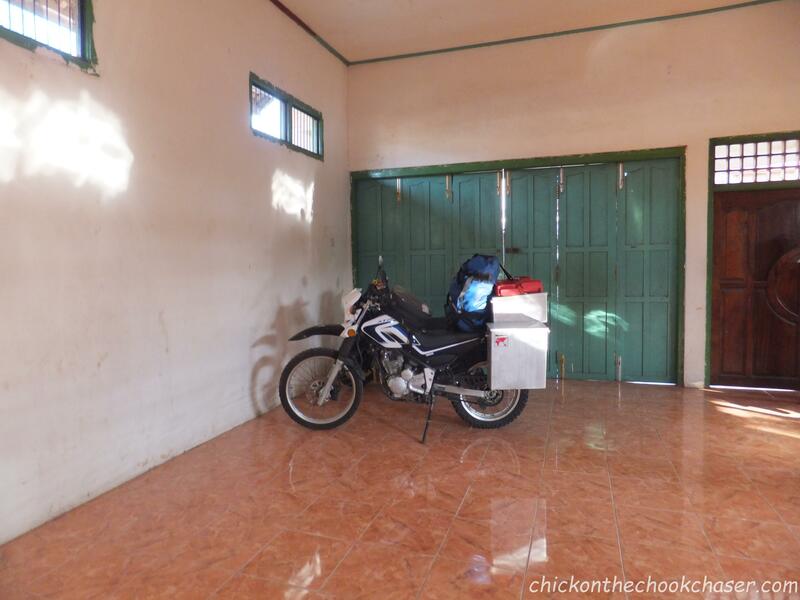 After one month of bike travel through Indonesia it is about time I give its amazing people some credit. In these past weeks I met so many incredibly caring and loving people. 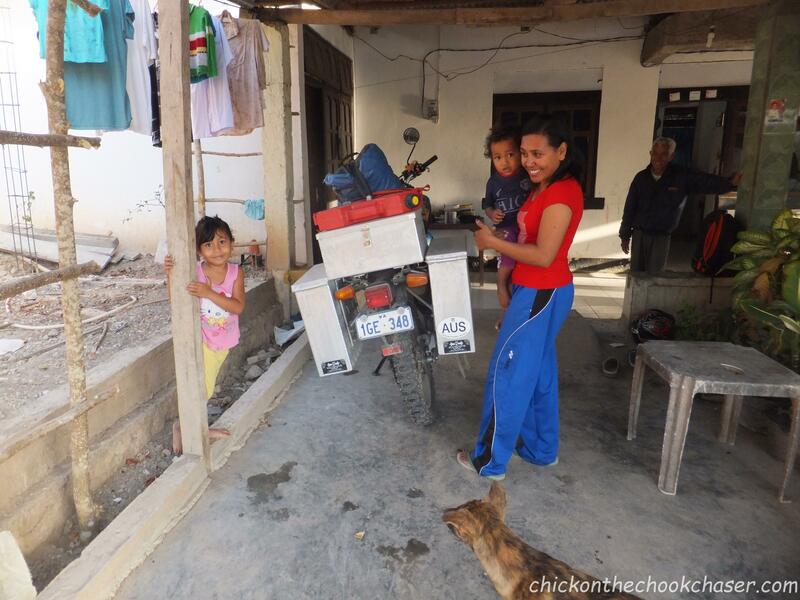 Quite a few times now I had the honour of staying with a local family overnight. Without exception, these are all experiences that will stay with me for a long time. The first family I stayed with was in West Timor. The reason I stayed with them a combination of miscommunication and plain stupidness. 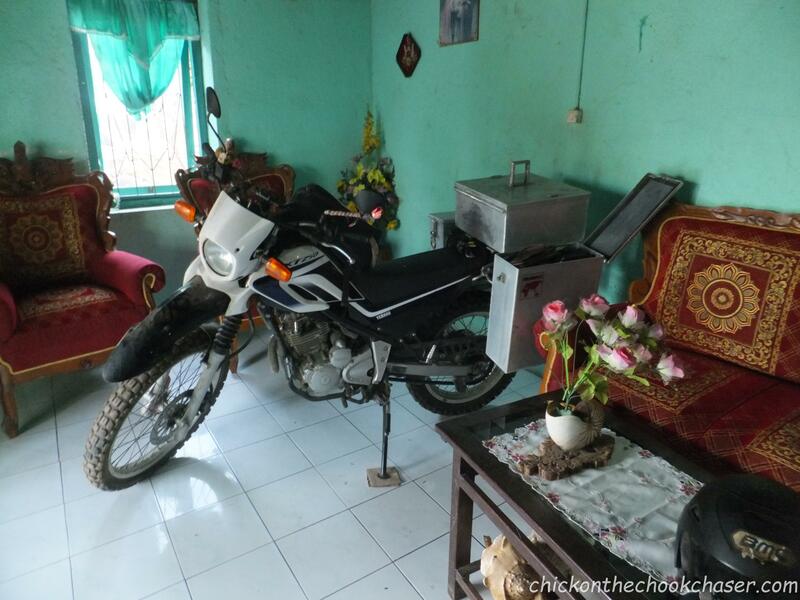 Thinking all the maps I had were correct I confidently rode into Indonesia from the East Timorese border. Only to find out after an hour or so that somehow the map I downloaded was completely off. My Indonesian sim card was stupidly sitting down the bottom of one of my bags. The thermometer reached 37° Celcius and I was wearing all my protective gear… I really didn’t feel like unpacking in the middle of the street with the sun on the black fabric of my jacket. So I decided to just ask the locals how long it would take to the next town. The answer was about an hour. However, after an hour no town was reached. I checked in again, again the answer was one hour… This time the answer was a bit unsettling as dusk already set in. I decided to simply find a house and ask the people if I could camp on their property. A nice house was found but there was no way I was allowed to camp. Instead, they offered me a bed, a shower, drinks and snacks. The rest of the evening was spend communicating in broken languages and looking up words in translating apps and dictionaries. Ida and family, thank you for taking such great care of me! 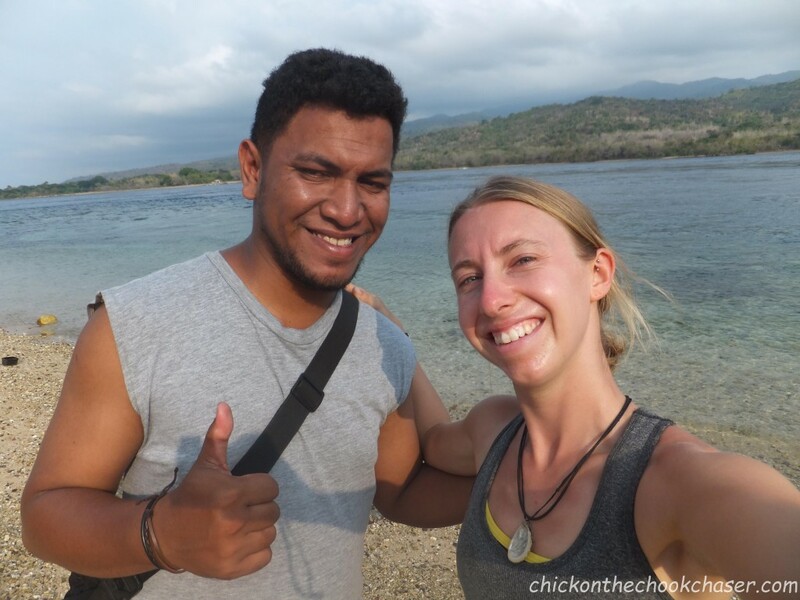 Then on the ferry from West Timor to Flores Umbu invited me to stay with him and his family. First I refused, but was tempted to take him up on the offer to have breakfast together (the ferry arrives at 5 AM). After breakfast I decided I might as well stay. Umbu showed me around the city. I met his girlfriend Clara and her family. And every place we’d go, food and drinks were offered as soon as my behind was securely seated in one of the best chairs. Meeting these people, speaking English with them, talking about habits and traditions, sharing meals… These are the experiences that I went on this trip for. 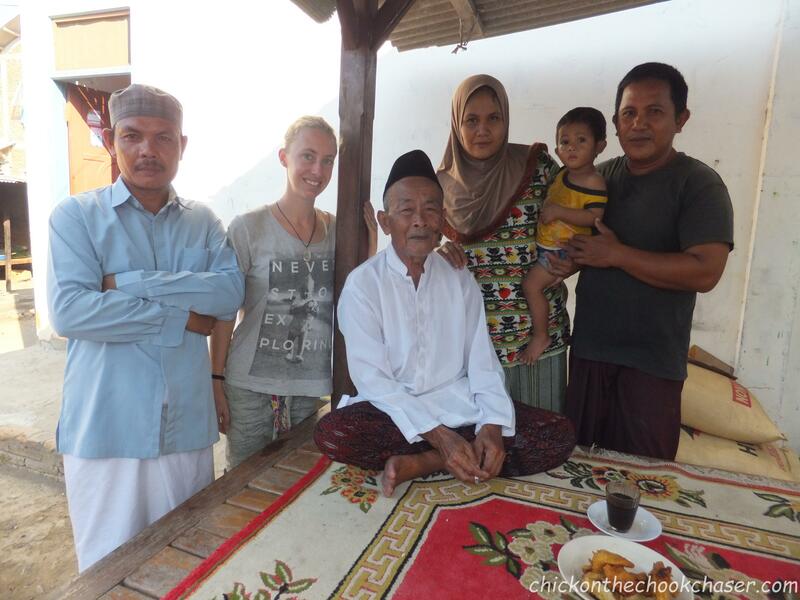 Then in Riung, on the north coast of Flores, I stayed with Acang and his family. They brought me along to a muslim wedding. A beautiful party and celebration of life. This was on the same day as the attacks in Paris happened. Towards the end of the party we were all dancing to Bob Marley’s “One love, one life”. It gave me goose bumps! The hospitality and acceptance they showed me this day is something many westerners could learn from. Hereafter, in Sape, the first city in Sumbawa I had a flat tyre. A 4 cm long nail found its way through the nobby outer tyre into the inner tube. The tube was beyond repair so on the back of a local guy’s naked scooter (more on naked scooter in a later post) I was rushed to the bike parts shop. Yanti, the owner spoke good English. Unfortunately there was no fitting tube in the entire town, but with something that closely resembled an oversized bicycle tube I should be able to make it to the next town. When I mentioned I needed a place to stay, and asked if I staying with her was an option she was honoured. She was happy to practice her English, take me to her girlfriends where we ate raw mango with chilli shrimp sauce (which is delicious btw!). The next morning we went to the market. She felt like she was walking around with a famous actress, everyone wanted to take pictures. The word selfie is sometimes the only English people speak! Yanti, thank you so much for taking me in. Then in Sumbawa Besar, when looking for someone to help extend my visa, Iyat was introduced to me. He helped me out with the visa and together we went to his family in Lunyuk. I spend the weekend there. He showed me around, pointed out the nice spots and taught me about the culture. 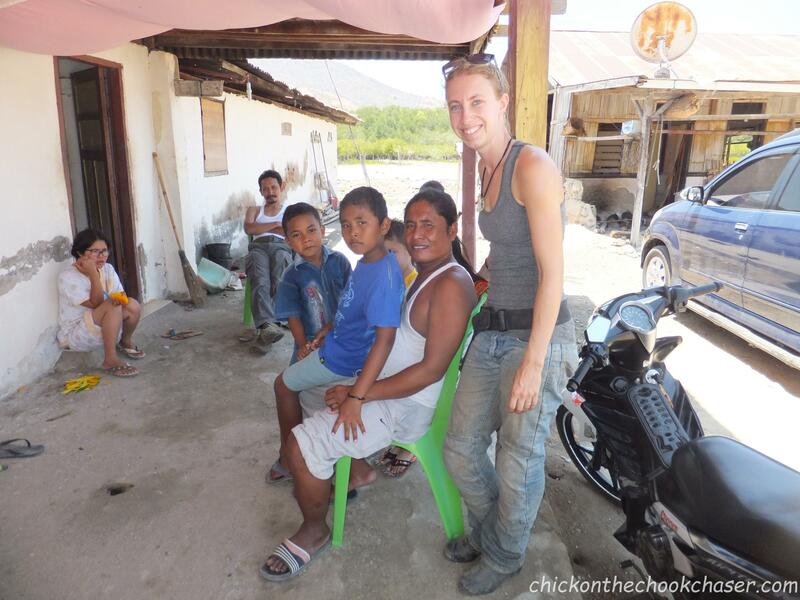 He introduced me to his extended family, friends, and anyone in the village who was curious about what I was doing. All these people took me in like a long lost friend. He even arranged for me to teach some English at the local school (something I’d like to do more along the way). 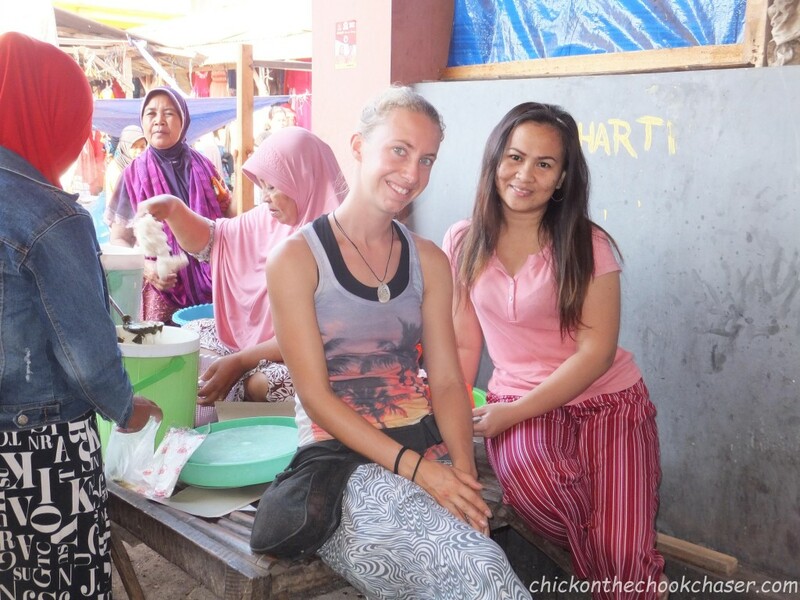 There are no words to describe how grateful I am to have met Iyat, and visited Lunyuk in a way that allowed me to really connect with everyone there. Thank you all so much for sharing your time, house, food and smiles with me. You are all, one by one terrific people. You make this trip unforgettable and you are teaching me so much! Thank you! Terima Kasih Banyak!! Quite often the Chook Chaser was taken just as good care of as the Chick. The pictures will speak for themselves.